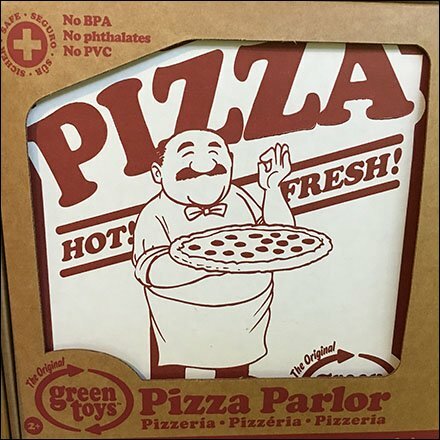 One would assume ordinary pizza is sustainable, as is this Green Toys Sustainable Pizza Parlor toy set. It’s 100% recycled and recyclable is certainly is sustainable. It is also free of BPA, PVC, or phthalates. Packaging is sustainable, unbleached corrugated. This a a perfect product for an earth friendly rural Farm Store setting. So stock your store in a style that suits your retail channel and hoped-for customer. This Green Toys Sustainable Pizza Parlor example seen at The Lands at Hillside Farms, a non-profit, educational farmstead teaching sustainable life choices, Shavertown PA.